Because of ever-changing harsh climatic conditions, your roof would call for maintenance and in the end require a re-roofing process at least once in a life. A part of that process is the hot mop phase. This allows making sure that no drips or roof damage arises. It requires a material known as modified bitumen. Bitumen could be applied on sloped or even roof decks and is installed with the “hot mop” procedure. Hot mop roofs apply a blend of felt and asphalt; this develops diverse layers which are then completed with a coat of gravel. Hot mop is termed as tar and gravel roof. Hot mop roof is applied on even and low roofs. Whereas the installation process could be a disorganized one, the price is extremely attractive to numerous homeowners. 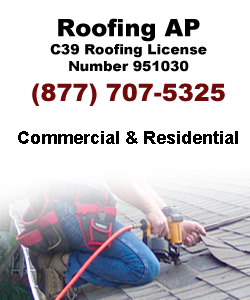 Installing a developed roof is a labor intensive job, when contrasted to further roofing options. But, several residential and commercial building owners rely on this for roofing since hot mopping is still the best low-slope roofing systems. Install Hot mop in Los Angeles in extremely affordable rates.